Better late than never! Here is the preview for this month’s Patreon UI art. I know it’s a little tight until the deadline at 30th, but this month has been a glorious heap of chaos all the way through and I’m still regrettably human despite my best efforts. On to businesses. If you are new to Patreon: it’s a subscription service for NEW art I do every month. Patrons pledge at any day of the month; at the last day of the month Patreon withdraw the money and when all pledges have been processed, I send out the rewards to eligible patrons. Deadline for this month’s art is September 30th. 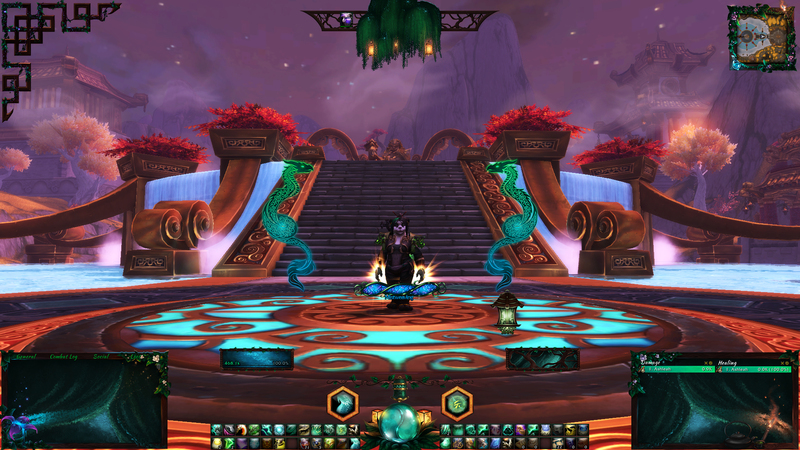 The world opens bit by bit, and this week we can finally enter the Emerald Nightmare normal and heroic. World bosses have started populating the Broken Isles as well, and more will come the following weeks. How prepared are you? Some of you have probably raced through world bosses and the entire new raid already. Maybe you’ve even had done it all on the Beta previously. In any case, the Emerald Nightmare was new to me and my whole raid raced through Normal difficulty yesterday to try out our new recruits. We will continue with Heroic this week too. Prepping for the raid, I started making some personal notes on each boss to help me remember important mechanics. It started out simple, with a few more notes than the dungeon journal. Then of course, because I am me, it became a little bit more excessive in detail. So I thought to myself, since I won’t do a full-blown encounter guide (there are already so many good ones out there), I can at least release my personal notes on the bosses. Hello, fellow monks! In this fine evening, I’ve managed to get the time to do smaller updates on my blog. Some minor tweaks on the Basic Mistweaving Guide, added weakauras for the Artifact in my Icon Aura Library and added four new looks for the Custom Transmog page. I still have many things I want to update, but small steps, people. There are two auras pertinent for our new artifact: the stacks for Sheilun’s Gift and the duration of the buff Mists of Sheilun. I’ve added those to the Icon Aura Library if you want specific trackers for them. As for the two other major traits; they’re rather self-evident so there’s no need for auras for them. If you’re missing any icon auras in my library, just give me a shout and I’ll see if I can whip something up when I have time. But I think I’ve covered most of a Mistweaver’s need. Legion! New Patreon UI! Here it comes! Thank you to everyone who supported me in August on Patreon – I continue to develop my art every month and I enjoy every minute of it. Here’s a help post if you need help starting your new UI! Go in-game, open up the Elvui menu with the command /ec. Then go to Profiles, click on Import Profiles and paste in the export code. I’ve managed to tear myself away from the game for a short while to finish my artifact page! Here you can find out about the Artifact progress tree, relics, knowledge and all known model appearances! Get ready to farm those model appearances – they must be all unlocked! I’ve managed to unlock the 4 basic looks myself, but I’m working on my class campaign for the upgraded version, working on empowering my artifact enough to unlock the quest for the Chi-Ji version and err, haven’t gotten around to PvPing yet for the Sha version. But I’ll get there! Posted on September 2, 2016 Categories Artifacts, Site changesTags artifact, mistweaver, sheilun8 Comments on Artifact Page up!